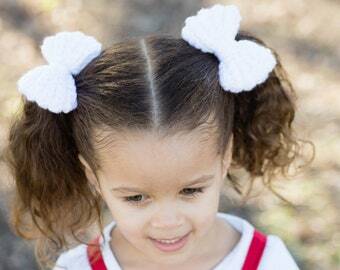 Simple yet stylish, these crochet ponytail bows are the perfect accessory to any outfit. You can dress them up or down. 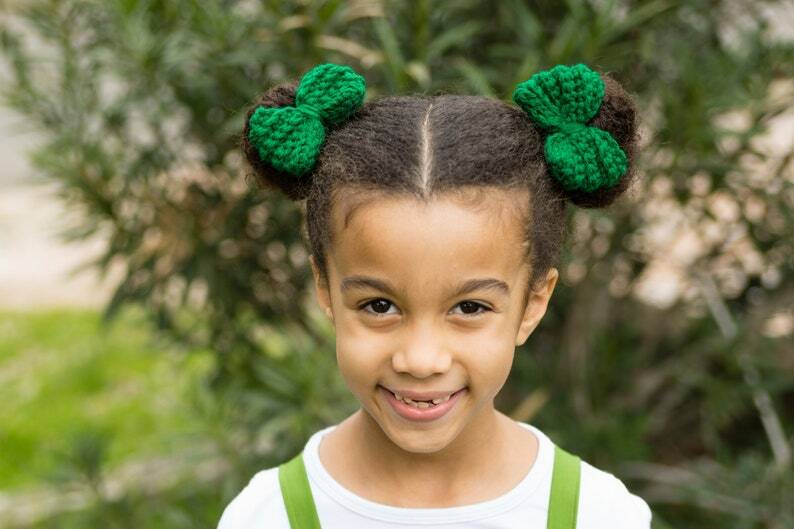 Made with no damage elastics, they are easy to put on and take off. Many of my products contain small pieces which are a choking hazards to young children. Never leave babies unattended. Please exercise caution.